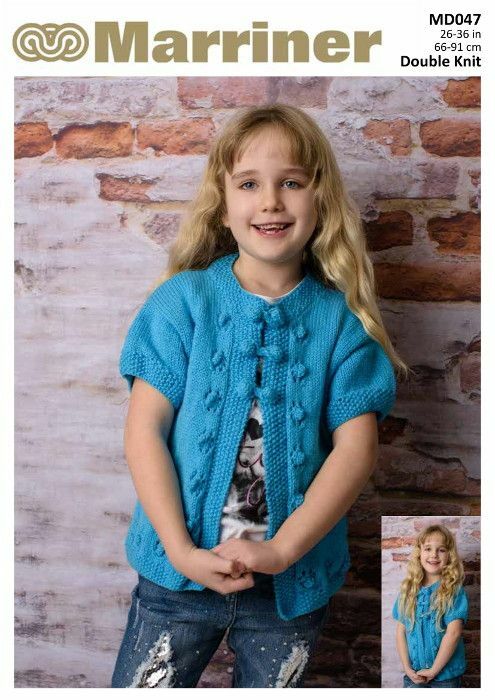 This pretty cardigan is perfect for any little girl - or teen. The short sleeves are great for the spring/summer months and the knitted buttons and edge detail make a really unique piece. 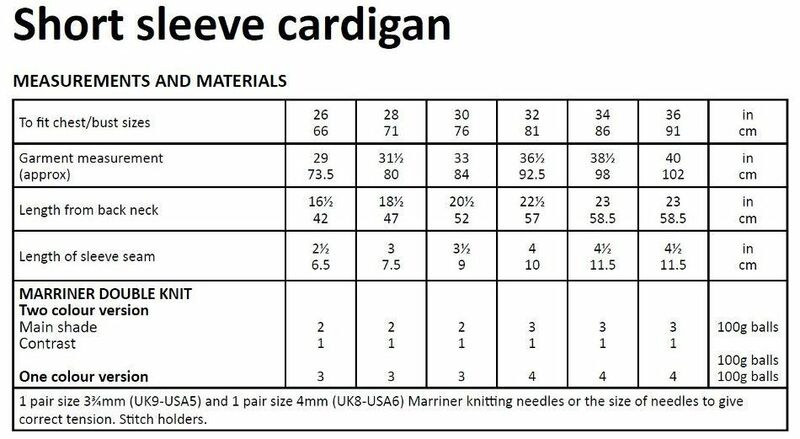 Hooks required 1 pair size 3¾mm (UK9-USA5) and 1 pair size 4mm (UK8-USA6) Marriner knitting needles or the size of needles to give correct tension. Stitch holders.